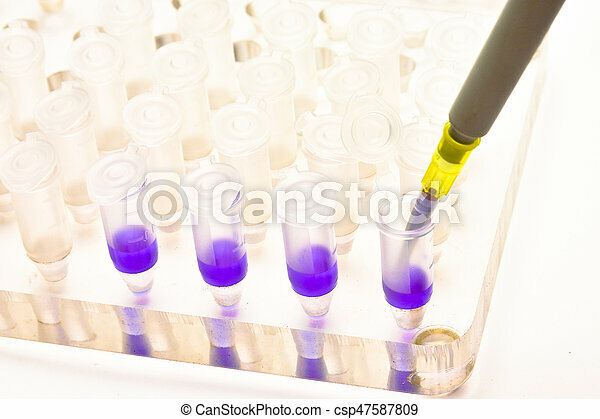 Adding A Biological Sample Pipette. 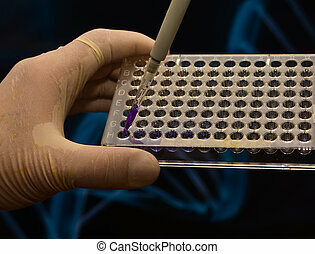 Biological research in a scientific laboratory. 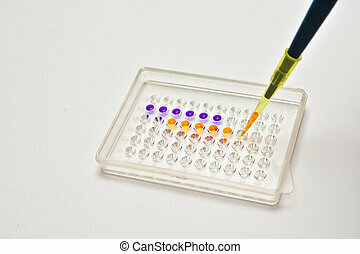 Adding by pipette on the sample well plate. 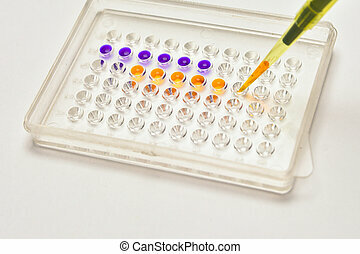 Laboratory examination of a blood sample. 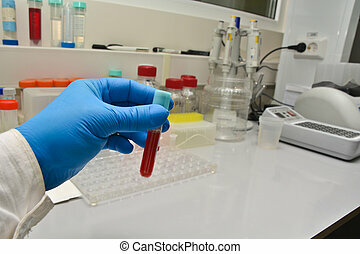 Vacuum test tube with blood on the background of scientific equipment. 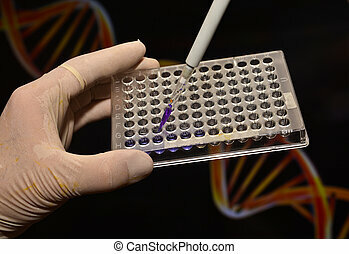 In the biological scientific laboratory. 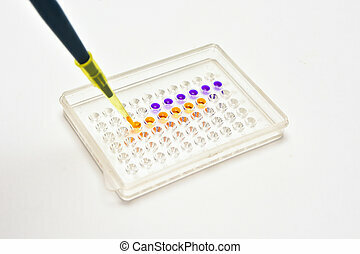 The sample is pipetted into a well plate. 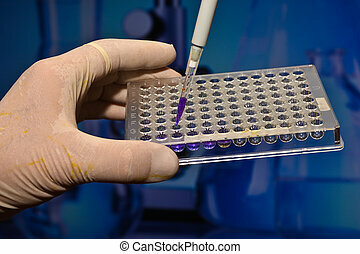 Laboratory biological research. 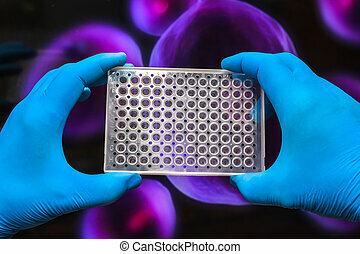 A 96-well plate in the hands of the researcher. 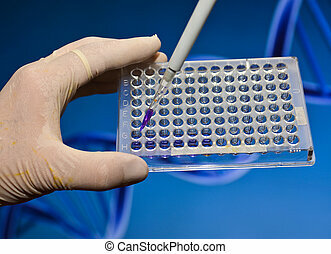 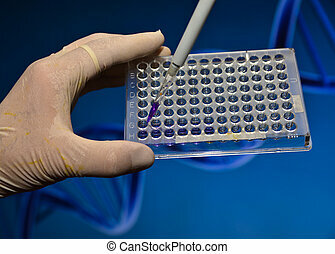 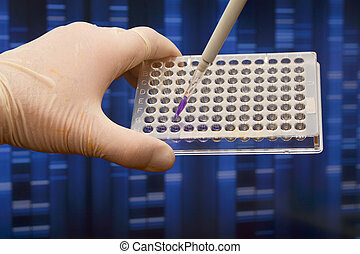 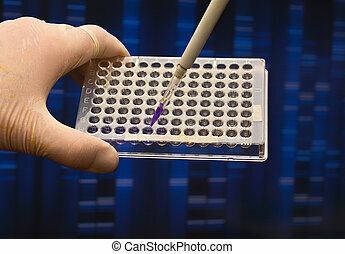 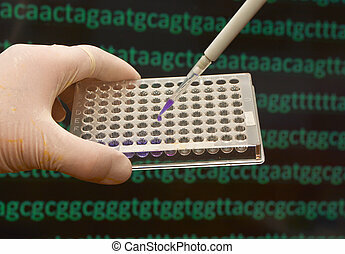 DNA testing in a scientific laboratory. 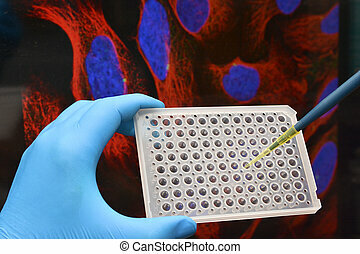 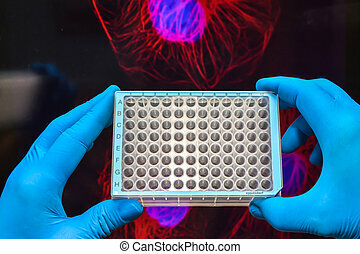 The study of biological sample in a well plate.